Russia is home to “Krokodil,” which is essentially a homemade opioid that has become a cheap heroin substitute around the world. The pharmaceutical name of this synthetic drug is called desomorphine and it is a combination of codeine tablets and chemicals such as industrial cleaners and lighter fluid. The effects of the drugs are nearly the same as heroin, but with a shorter duration and sometimes more powerful high. The odd name “Krokodil” has been used because the drug injection site leaves the skin scaly, gray-green, and it sometimes becomes gangrenous, with amputation of limbs becoming a necessity in worst case scenarios. N-bomb refers to three similar hallucinogens (251-NBOMe, 25C-NBOMe, and 25B-NBOMe) that are being promoted as legal alternatives to LSD and mescaline. Street names include “Smiles”, or “251” and they are usually sold on blotter paper after having been soaked in the liquids. It is incredibly dangerous, however, and even small amounts can cause seizures, heart attacks or arrested breathing, and death. 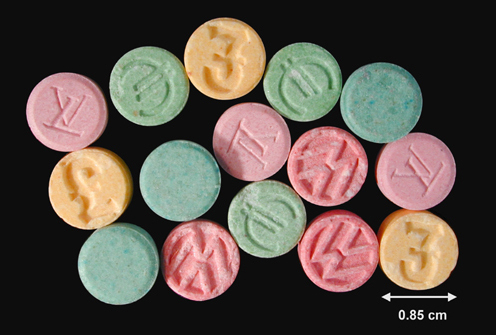 “Molly” is the street name for a new powder form of MDMA. It is usually sold in capsule form, and claims to be a more pure form of ecstasy. Like all MDMA products, its energy and euphoria can raise body temperature and cause disorientation, leading to dangerous complications for the user. However, Molly is not necessarily as pure as its purchasers are hoping. In 2012, South Florida crime labs found hundreds of “Molly” capsules containing methylone, a very dangerous stimulant. “MCAT”, “Meow meow”, “Sunshine”, “Drone” and “Bubble” are all terms for Mephedrone or 4-methylmethcathinone. It is marketed as plant food and is easily purchased over the internet. It gives an amphetamine-like high somewhere between khat and cocaine. Supposedly, it was created in Israel, where laws on synthetic drugs are not very stringent, allowing manufacturers to churn out new products regularly with only small molecular tweaks from their (now illegal) predecessors. 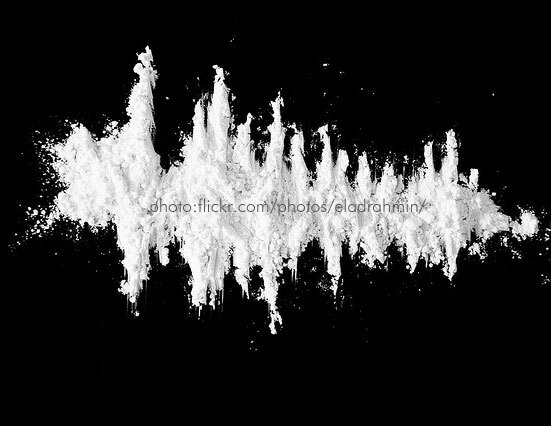 It is responsible for many overdoses on the club scene, especially when mixed with other drugs. MDMA miraculously continues to morph into new drug forms. Its latest form called “Nintendo” was first noticed in Belgium and packs a massive, potent punch of ecstasy. The pills are actually labeled with the video game maker’s name, much to their dismay no doubt. And another amphetamine-based drug called “Brain” which offers similar effects, recently made four girls in the UK go temporarily blind after ingestion. 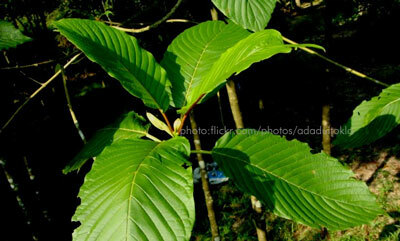 The newest “natural” drug to hit the market is Kratom. It is native to Thailand and, as of 2014, is not illegal in the U.S. It has medicinal uses in treating depression and anxiety, among other things, but its reputation as an ‘organic speed ball’ attracts abusers of bath salts and salvia; and it is being taken in dangerous amounts. 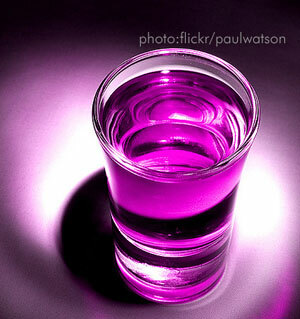 “Purple Drank”, “Syrup”, and “Sizzurp” are some of the names being used for codeine cough syrup and promethazine, which is then mixed with soda. Because of the depressant effects of these drugs along with the often concurrent use of alcohol, there have been reports of overdose deaths, most recently among rap music artists. New drugs are being made each and every day in homemade laboratories around the world. While they each vary widely in most aspects, they do have one thing in common – they are incredibly dangerous. It’s nearly impossible to know what’s actually in them, and they are responsible for many deaths around the globe.